The order deadline for many of our personalised items has now passed. Please read the red messages at the top of the product description for exact cut-off dates. All orders placed after the cut-off date will be processed but will probably not arrive until the New Year. Last order date for stock items is 18th December 2018. If you are unsure as to whether your item will arrive in time for Christmas, please email us at sales@chelseadogs.com to ask! These items will have a shipping charge regardless of your basket total. We state the cost of delivery for each product on each product page under the delivery tab. In the delivery tab, the customer will see which delivery methods are available and an estimated delivery timeframe. Chelsea Dogs will do its best to deliver a product within the timeframe shown and earlier if possible. 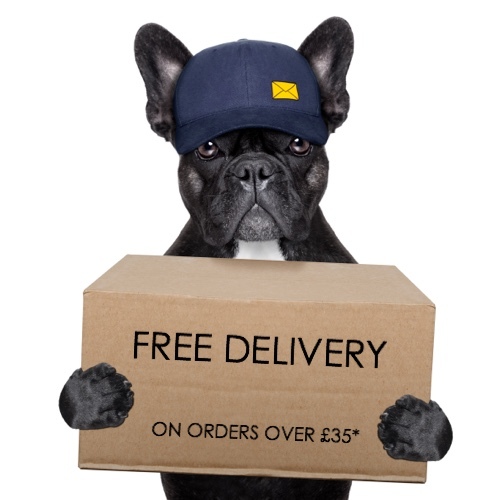 If for any reason there is a delay in the delivery, Chelsea Dogs will notify the customer by email as soon as possible. Chelsea Dogs does not accept any liability for delay, despatch or delivery and cannot be held responsible for delivery at any set time on a particular day. Chelsea Dogs ships mainly to the UK and Highlands but will also, on request by the customer, ship internationally, where available, and subject to extra shipping charges. All products are shipped using various methods and couriers, each are clearly stated in the delivery tab on each individual product page. Chelsea Dogs will not accept liability for the delivery of products that are shipped directly from a supplier. Some delivery methods will require the customer to sign for the acceptance of the goods.